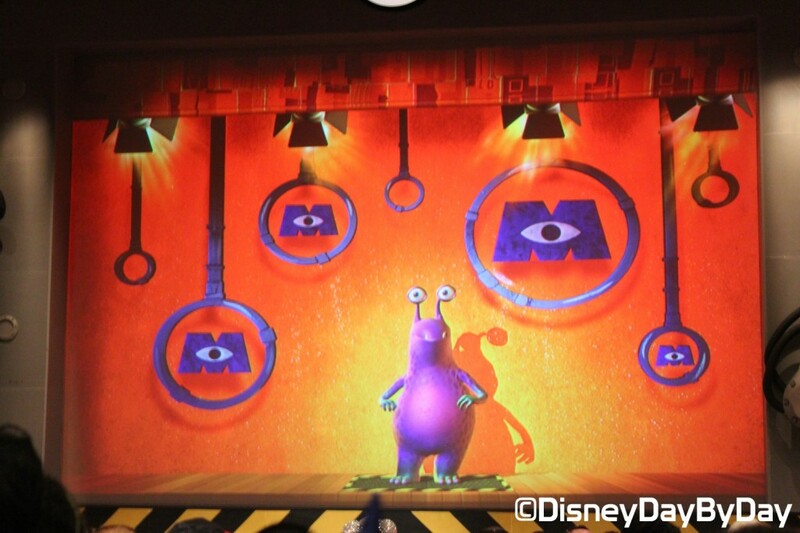 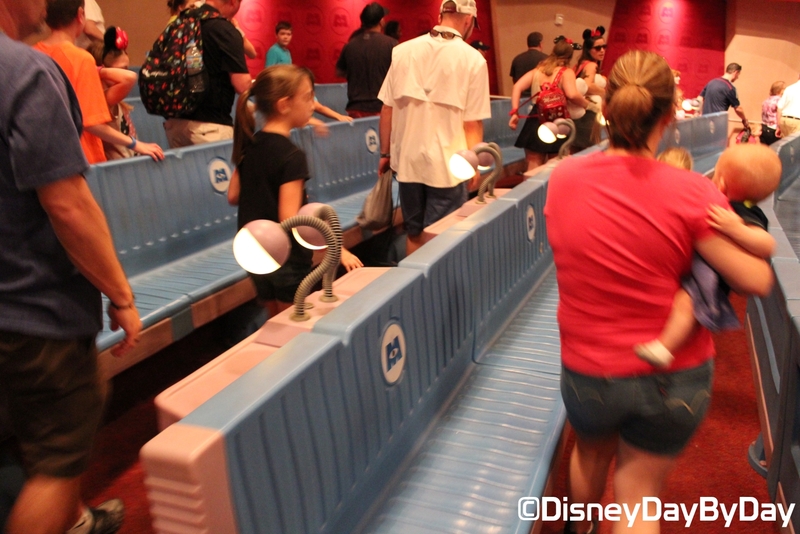 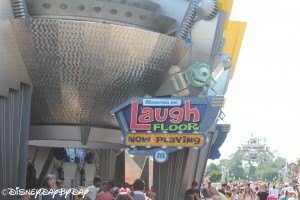 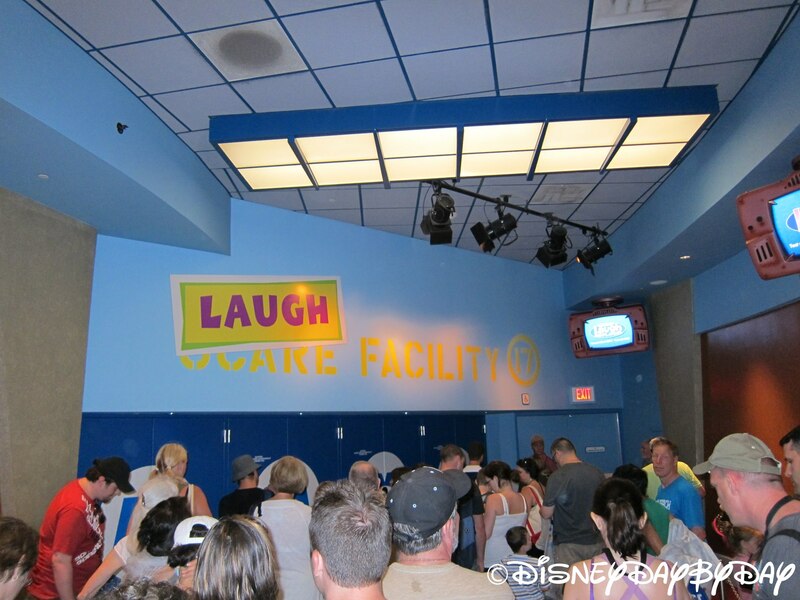 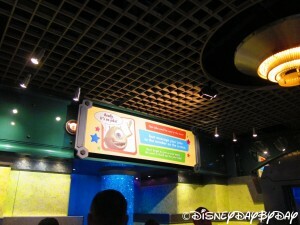 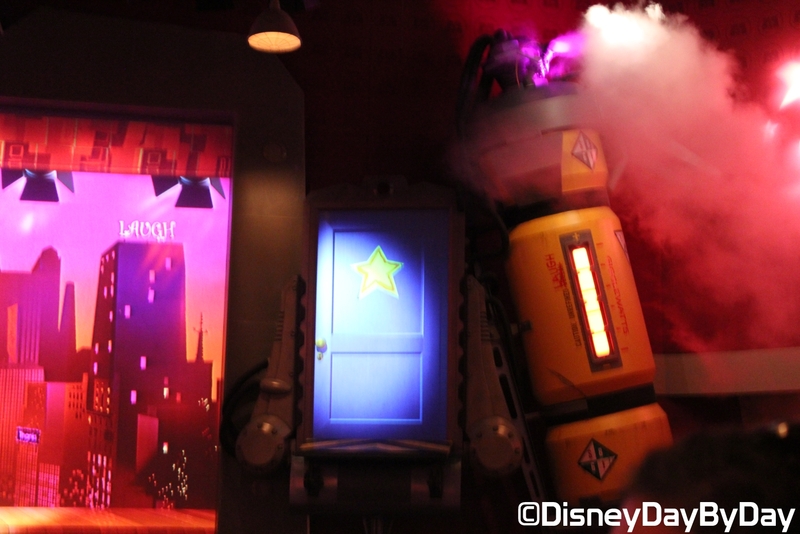 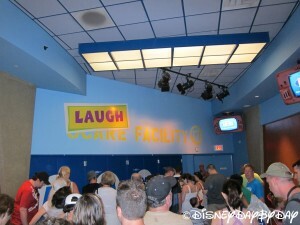 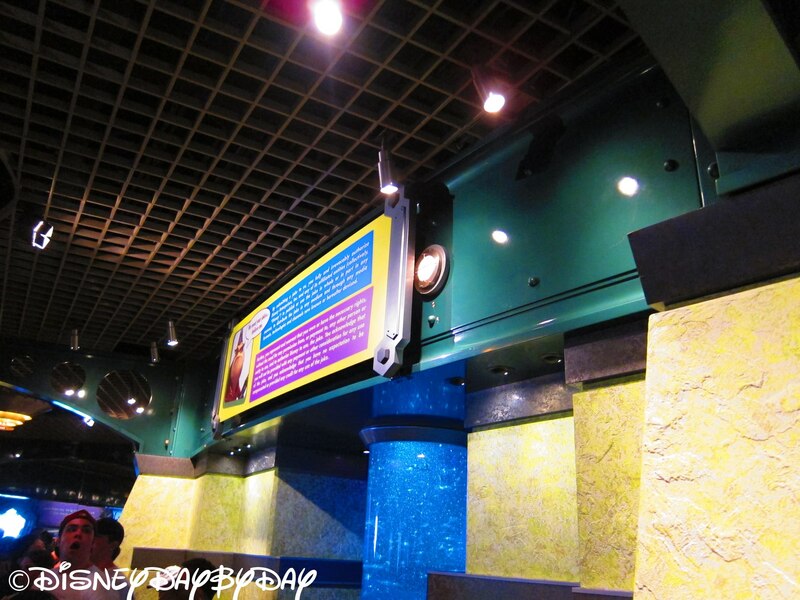 Most agree that the best place to get a good laugh while in the Magic Kingdom is at the Monsters Inc Laugh Floor. 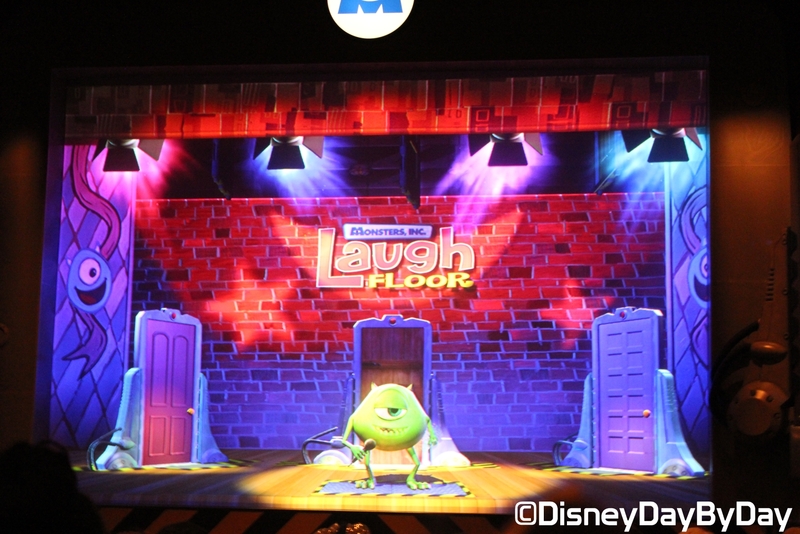 Monsters Inc Laugh Floor is an interactive show set in a cartoon comedy club with your “Monster of Ceremonies”, Mike Wazowski. Be prepared as you just might become part of the show as the Monsters call on members of the audience to participate. 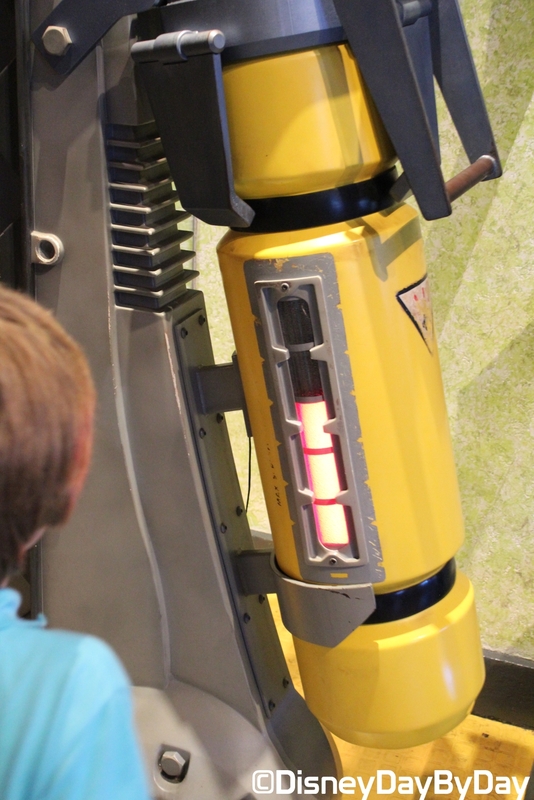 Exhausted? 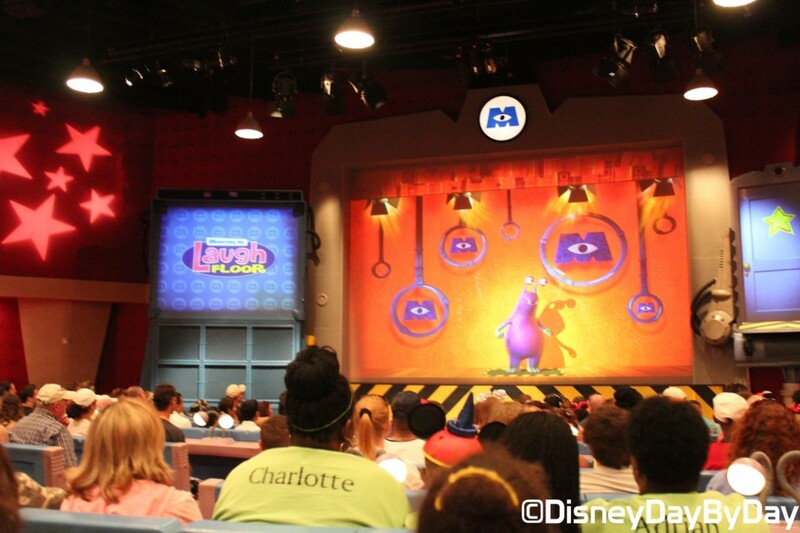 This 10 minute show has plenty of seating in an air-conditioned “club”. 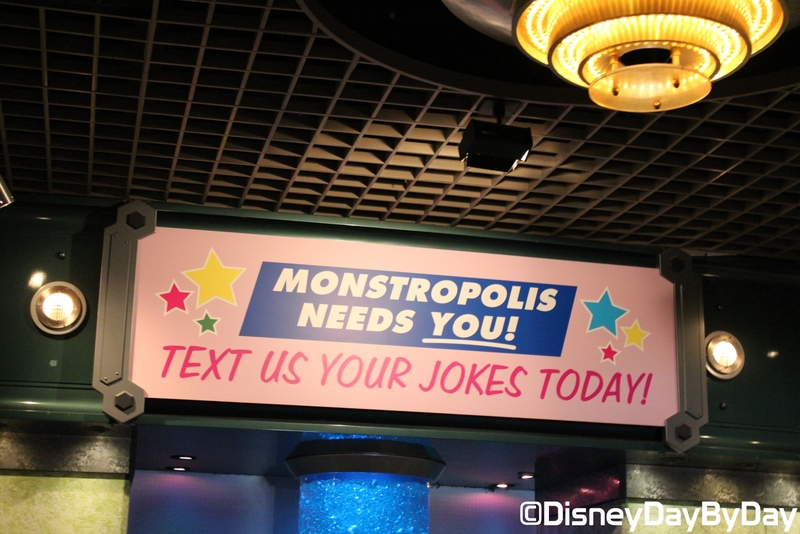 Be sure to think of some good jokes and text them in while you are in line, they just might make it into the show.